Winter is notorious for cold conditions that dries out the skin. Add to that mix the sudden changes in temperatures as you head from heated indoors environments to plunging outdoors temperatures and you're bound to have a recipe for dry flaky patches and wind burnt chapped lips, all of which are symptoms I'm experiencing lately. I've been using the following products to combat the windburn and drying effects of constant extreme weather changes in an attempt to restore moisture back into my skin and lips. Packed full of hyaluronic acid (which is able to hold up to 1000 times its weight in water) and glycerin (a humectant), this gem binds moisture on skin to keep you hydrated for hours on end. Restores moisture balance and revitalises skin and helps reduce and soothe the dry patches on cheeks and those sore runny noses. A clear slightly viscous liquid, it is scented with lavender essential oils that also helps to calm skin from irritations and quickly absorbs to give baby soft skin - no joke! 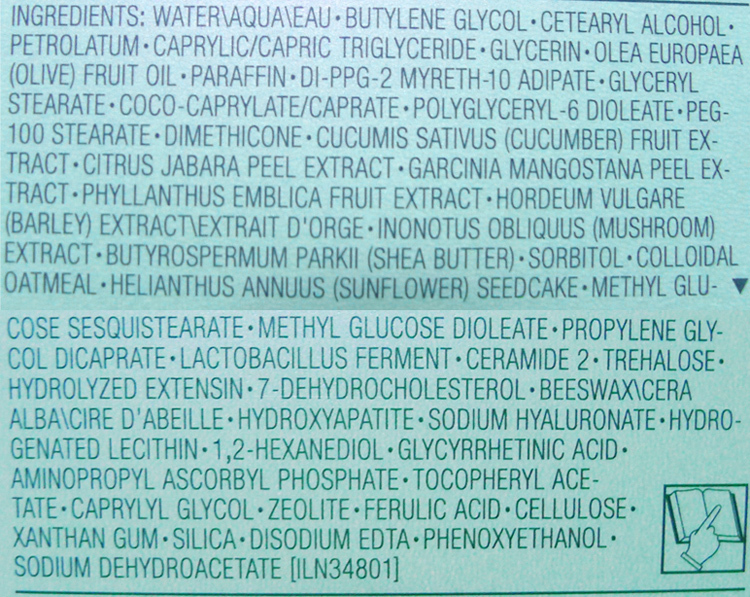 Also contains panthenol for tissue repair and algae extracts to restore the moisture balance. You don't have to have parched skin to use this, if you're your skin is feeling tight or dry, it's enough reason to pick this up and apply before your other normal skincare products to bind in the moisture content and relieve you from dry patches and lines, especially under the eye area. Best used after washing on slightly damp clean skin to lock in all that glorious moisture content and you only need a few drops to get instantly softened skin. RRP A$100 at selected salons or cheaper online at the Facial Company. 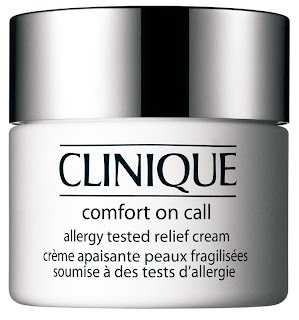 This heavy duty cream is used to relieve seriously dry skin, and by serious I mean the wind-burnt dry cracked skin type of serious. 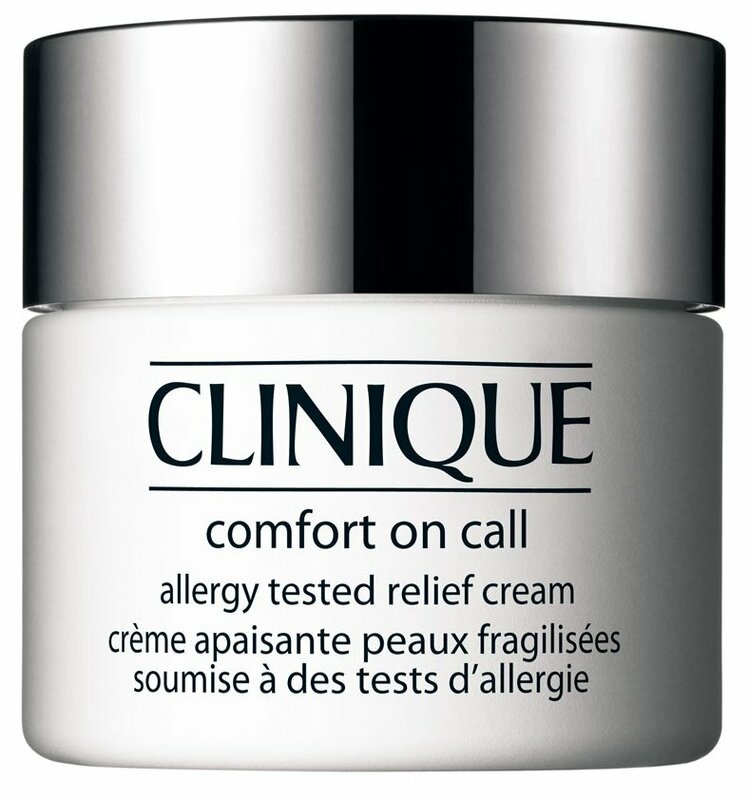 Given its its richness (a rich body cream texture), I recommend using this creamy balm at night as it's probably too heavy to use during the day, especially if you intend to apply makeup over your skincare products and take a bit of time to fully absorb into skin. If you're outdoors in the extreme weather during the day, then use it during the day as well - just make sure you top it with sun protection. Contains olive fruit oil, shea butter to deeply moisturise, citrus jabara fruit extract to calm and trace amounts of hyaluronic acid to keep the moisture in. Creates a barrier after application to prevent further damage and help to keep skin's moisturised whilst it soothes redness and irritations from extreme weather and reduce flaky skin. 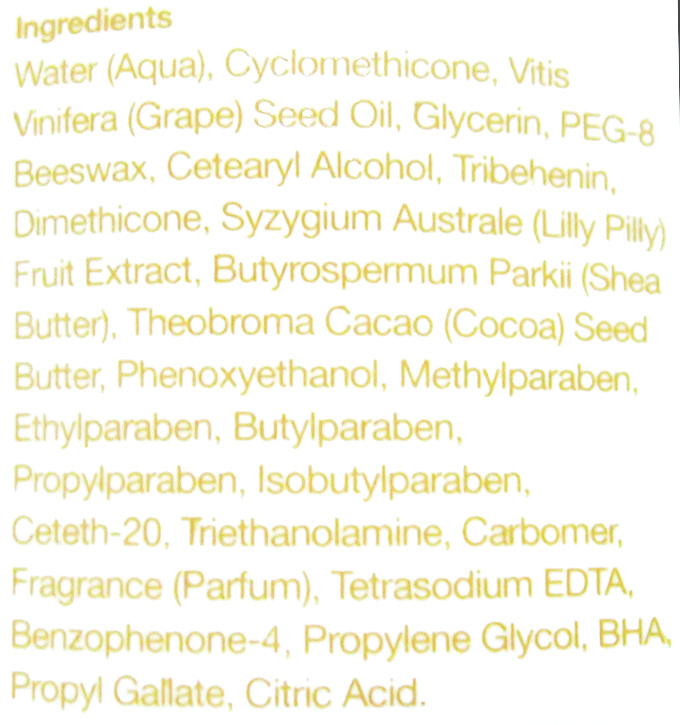 Like all other Clinique skincare products, it is fragrance free and relatively scentless, which helps for those who are easily senstised by fragrance in their products (I'm usually not but when skin is irritated, anything can happen). I don't use this every night, only when I find my skin very dry and would use for a few days during that period before converting back to my normal lighter moisturisers. 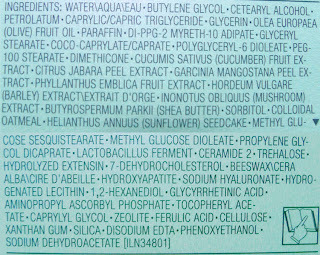 RRP A$83 at Clinique counters. This little lip balm is a godsend for my perennially dry lips which just cracks during winters. Seriously no amount of daily exfoliating has stopped my chapping, it has only minimised it. With this lip treatment, I have only minimal exfoliating work to do at night - hallelujah! Contains Anti-Ozonate Complex to heal cracked, chapped lips and leaves a protective waxy film that prevents moisture from leaving and harsh extreme conditions from further drying up lips and gives hours of protections before any re-application is needed. Although fragrance free and goes on clear, there is a light but distinctive medicinal taste (most likely due to the Alkyl benzonate) to this balm which reminds me of zinc stick. It's not a deal breaker for me and honestly you shouldn't be licking your lips anyway as it dries them out even more so the taste should act as a deterrent for you lip-smacking people out there. Also good for bits of rough skin like finger and sore red noses or anywhere that needs soothing and protecting. RRP A$19 at selected salons or cheaper online at the Facial Company. 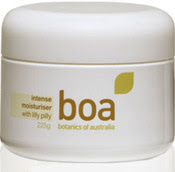 BOA is an Aussie skincare and haircare brand that I've recently been introduced to. Interestingly, although the products are made in Australia with local signature ingredients, it is only marketed to and sold to international overseas consumers (weird how they think locals wouldn't love to use these local products too!). The good news is it's available online for purchase locally, is well priced with a good product range and from the products I've tried so far, are fabulous and value for money. This moisturiser is a whipped cream texture and is between the richness of body butter being lighter and softer but richer than body lotions. It has a delightful warm sandalwood fragrance and feels luxurious when it melts upon touching the skin. My favourite part is that it's non-greasy and fast absorbing - it has a similar texture and feel to the L'Occitane Rich Renewal Cream that I love and comes in a nice big jar that is easy to scoop out the product to apply copious amounts of all over the body. Contains grape seed oil, Cocoa butter and Shea butter for intense moisturisation with lilly pilly, an Australia native fruit that is packed full of vitamin C and fruit acids to assist with skin firming. RRP A$17.95 or cheaper online at FashionAddict. Do you change your skincare regime for the seasons? Products marked * were provided for consideration. All other products were purchased by myself. 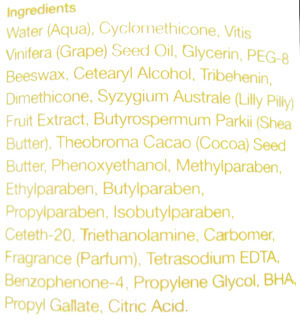 A great list of products here, I am curious to try things from BOA and Dermalogica! You will love BOA Emma -its very lush the body mosituriser. And in terms of hydration, the Dermalogica intense eye repair and the hdyration booster is just fabulous - i'm sure you'll love it too.